A meeting of SPLM-IO leaders who survived the recent fighting in Juba voted today to make Taban Deng Gai the ‘acting’ first vice president in spite of a directive from SPLM-IO Chairman Riek Machar yesterday removing him. 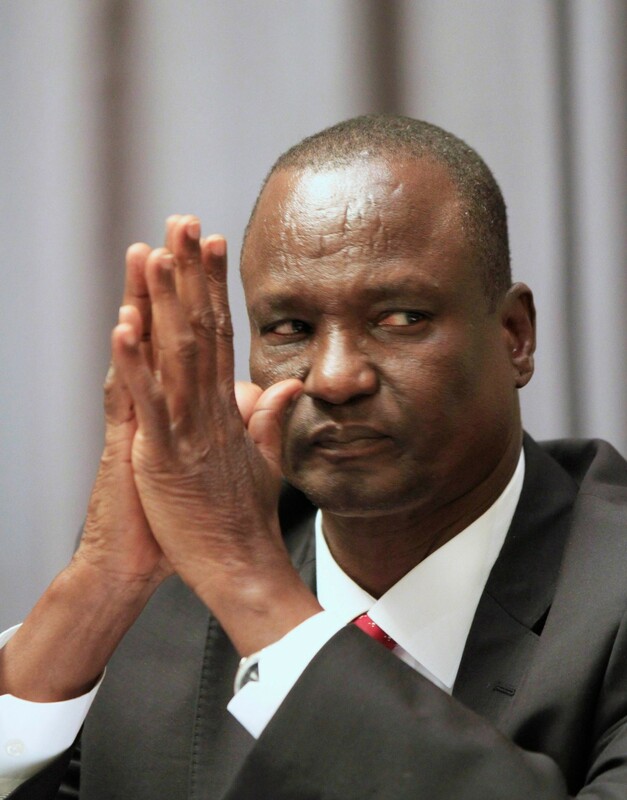 Machar in a letter yesterday said that Taban Deng has ‘defected’ to the SPLM faction headed by Salva Kiir, therefore he dismissed him from the movement. 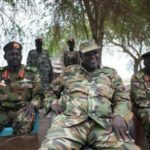 The move came after Kiir issued an ultimate to Machar to return to Juba or else face removal from his position as first vice president, and it was clearly aimed at preempting the meeting by Taban’s supporters in Juba today. Kiir’s officials have been hinting at backing Taban Deng to replace Machar for several days now, also saying Machar’s bodyguards will not be allowed to return back to Juba. Many of them were killed last week in fighting. According to video of the event now on social media, Ezekiel Lol Gatkuoth, head of external affairs for SPLM-IO, told members at the event that Taban Deng would be the new ‘acting’ vice president until Machar returns to Juba. “The leadership has nominated General Taban Deng Gai to act as the First Vice President of the Republic of South Sudan. 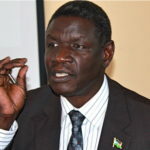 In our resolution also General Taban Deng Gai promised all of us and he will say it to you all, ‘I will be the First Vice President of The Republic of South Sudan and if [Riek Machar] returns, he will step down,” said Ezekiel Gatkuoth. 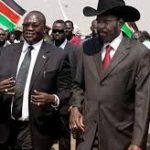 This move threatens to split the SPLM-IO into two factions, one faction that recognizes Taban Deng as a valid member of the movement and the new first vice president, and the other faction remaining behind Machar. Today’s meeting was described as a meeting of the SPLM-IO ‘National Liberation Council’, but it is not yet clear how many liberation council members actually attended. Two of the most senior SPLM-IO members present were SPLM-IO Secretary-General Dhieu Mathok and Deputy Chairman Alfred Lado Gore. This suggests that some of Machar’s own top appointees are backing the move to sideline him at least temporarily until a deal can be reached on his return to Juba.